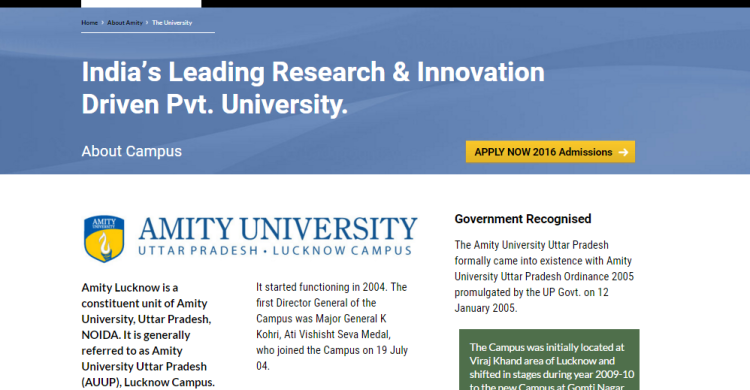 All campuses of Amity are interconnected through a highly secured virtual private network. Contact : For FREE admission counselling contact us or call us. Our counselors will help you.